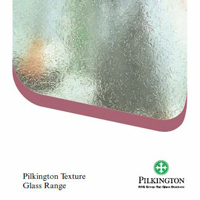 No longer susceptible to draughts and unsightly appearances, our aluminium windows are one of the highest performing window styles available in the UK market today. 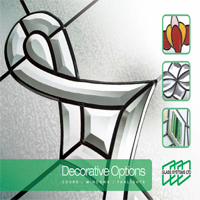 All are low maintenance, resistant to corrosion and can be coloured to each homeowner’s specific liking. Because the material is highly durable, this type of window can more easily accommodate larger panes of glass to make for some impressive outside views. Aluminium windows installed by A-Rated Home Improvements provide exceptional levels of thermal and acoustic insulation, aesthetics and security, which means they are well suited to the demands of both traditional and modern style properties alike. 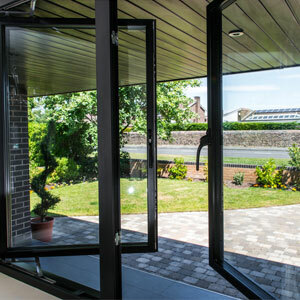 Crafted from high quality aluminium profile, these windows have a working lifespan of 30 years and up. 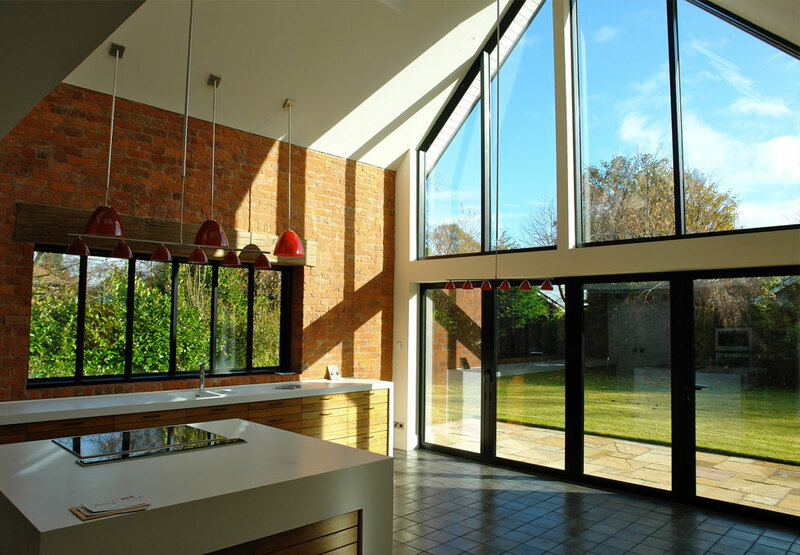 One of the biggest aesthetic benefits homeowners appreciate about aluminium windows are the sleek and clean visuals they provide to the modern style of home. This contemporary appearance is primarily achieved thanks to ultra-slim sightlines, made possible due to the strong frame. These sightlines not only make for a sleeker looking home externally, but also make for generous uninterrupted views from the inside looking out. Like all other window styles available from A-Rated Home Improvements, our range of aluminium windows readily secure an A-rating from WER to help improve the home’s living environment. Each aluminium frame boasts a multi-chambered profile which can more easily trap heat and prevent it from seeping out of the home. I needed the fascias, soffits and guttering replaced to the front, side, and back of my semi-detached house. I saw an A-rated van parked outside my neighbours house and approached one of the guys to see if they could give me a quote. He explained exactly how they would do the job, then sent the boss out to give me a price. It was very reasonable for the work entailed and I didn't hesitate to go with them. The job was tuned around in a few weeks and I am extremely happy with it. I would definitely recommend this company for home improvements work. Just like to say how happy I am with my new windows. This is the second time I have used A rated home improvements. First I had them install 1 bathroom and 1 bedroom window and I have now just had two kitchen windows and one large arched window installed. Excellent from start to finish. I originally had quotes from 3 companies but A rated were the most professional and reasonable and windows are a quality product. No hard sell, just easy, no fuss from start to finish. Very pleased with the finished result, quality installation and professional finish and clean and tidy also!! I highly recommend this company! Great job! A Rated Home Improvements recently carried out a shop window replacement for us. I found that the company provided a friendly, professional and efficient service from order to completion and in comparison to other local companies, they were competitively priced. I would highly recommend this company. We compete on quality, workmanship and price. Based in the thriving city of Swansea, we are perfectly situated to enhance homes located anywhere across the entire South Wales district including; Port Talbot, Bridgend, Pembrokeshire and beyond. No project is too big or small, so get in touch today!